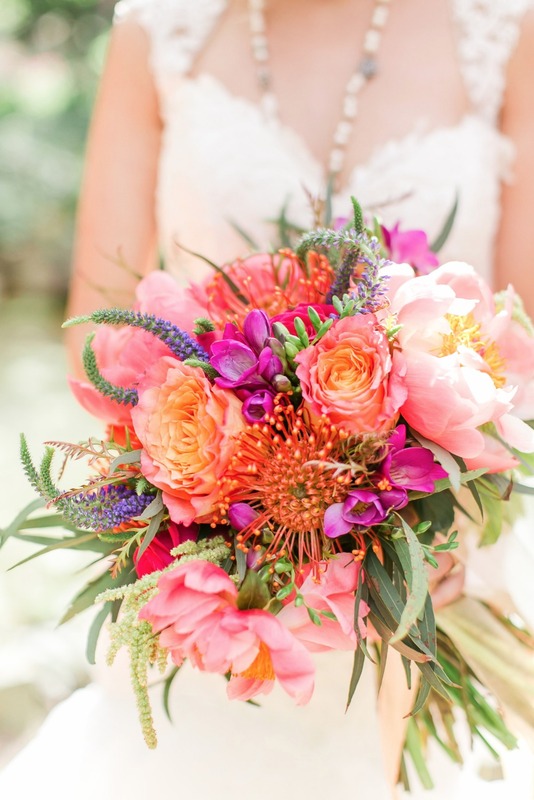 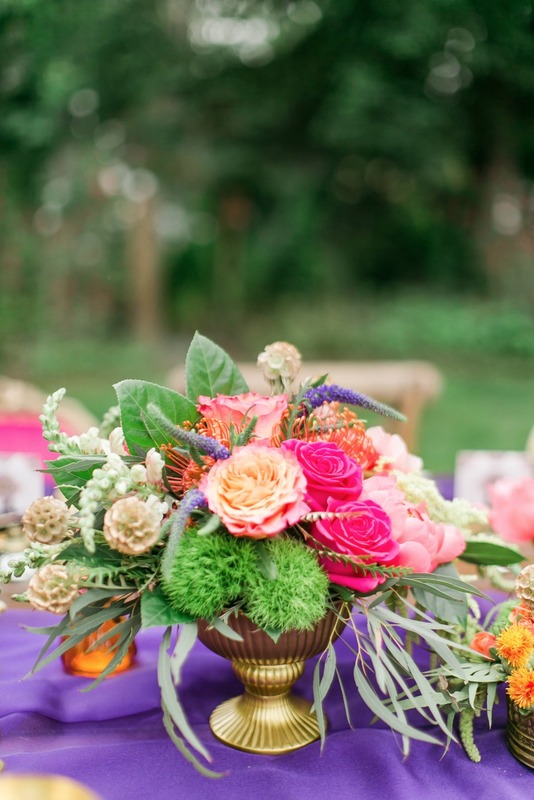 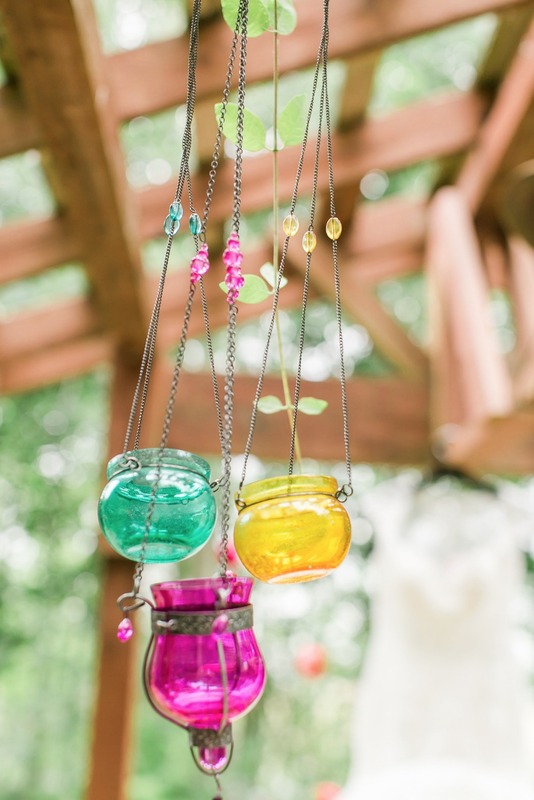 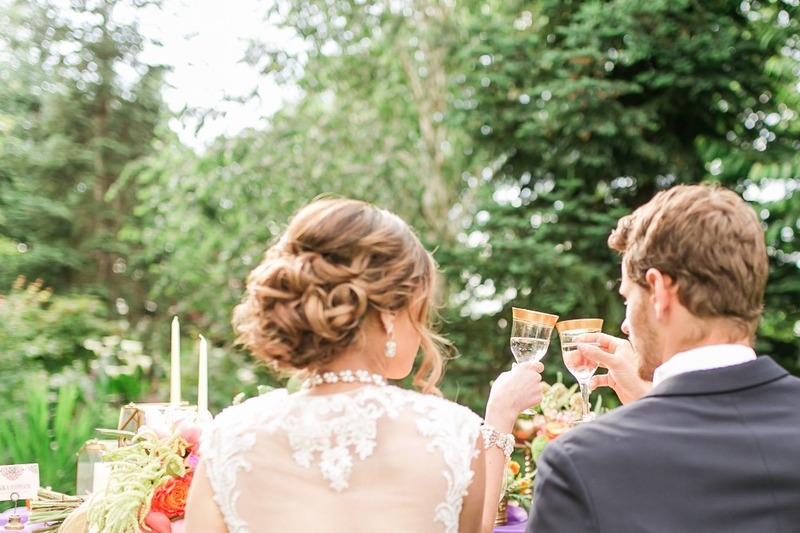 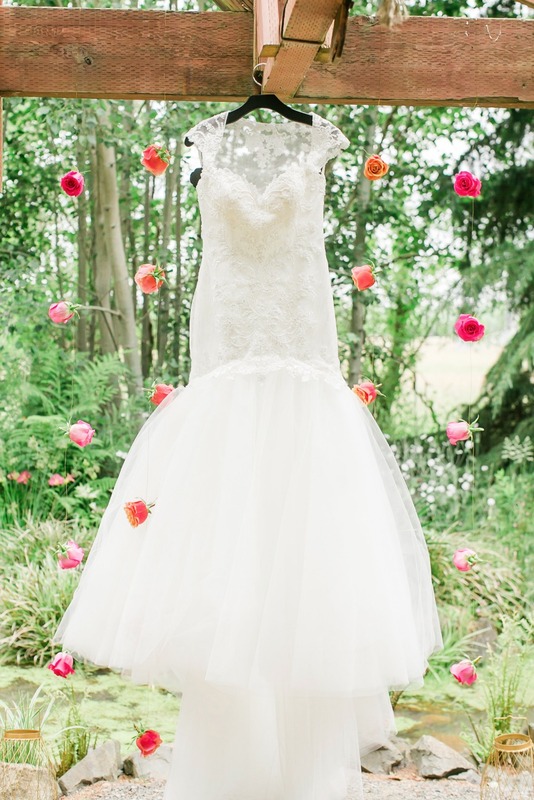 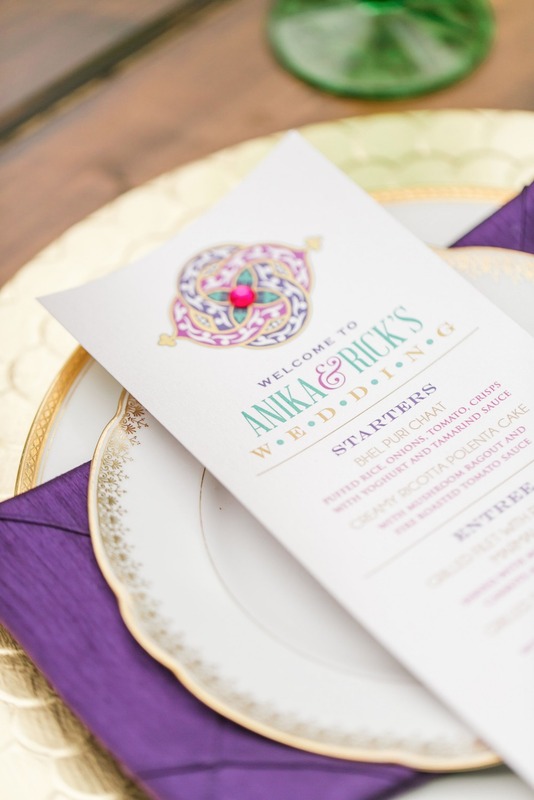 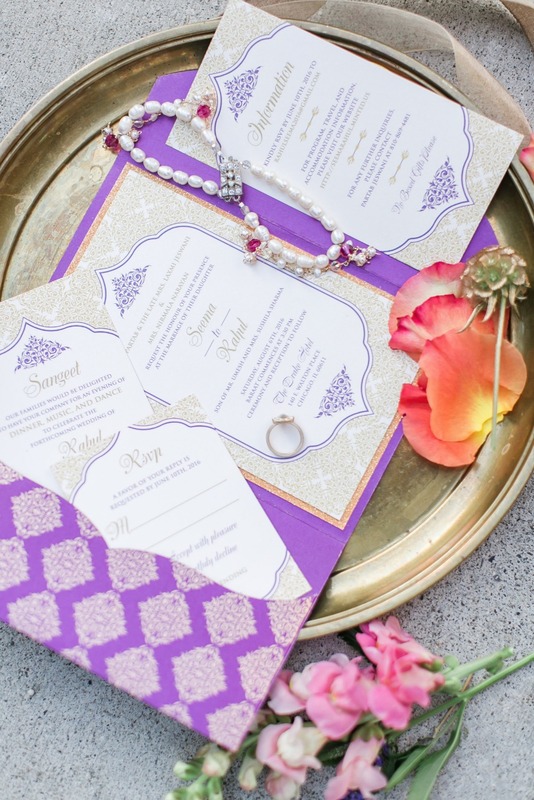 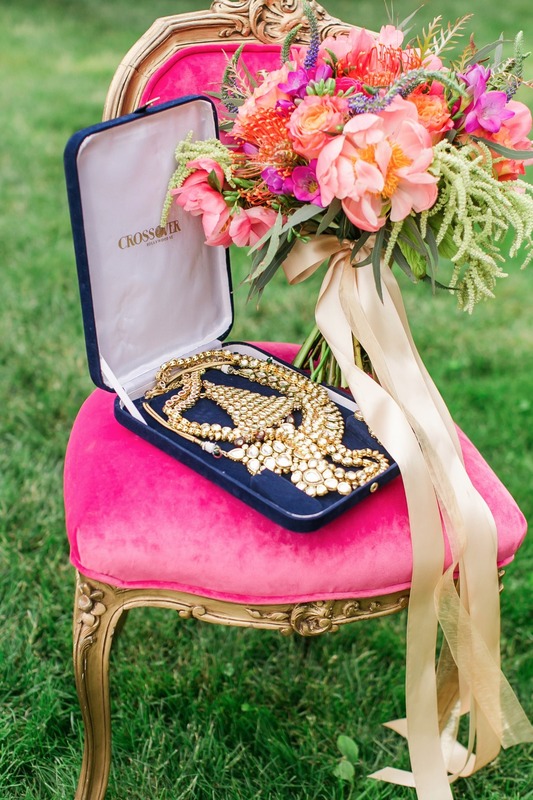 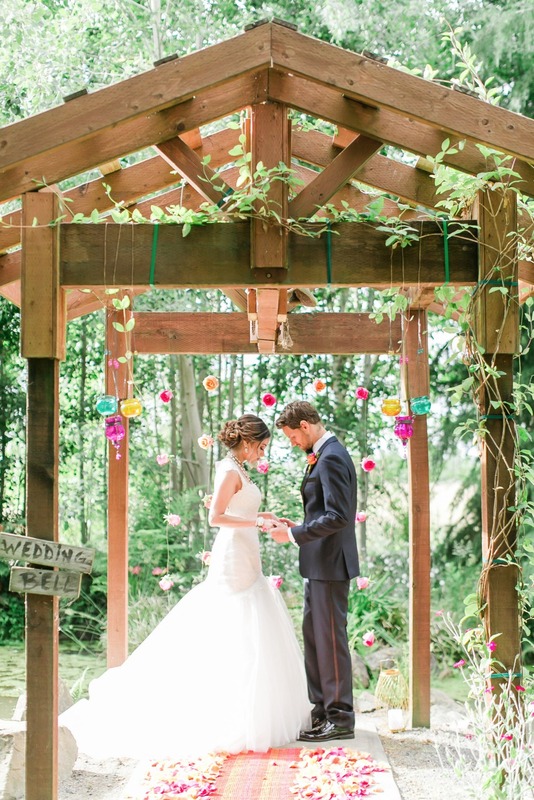 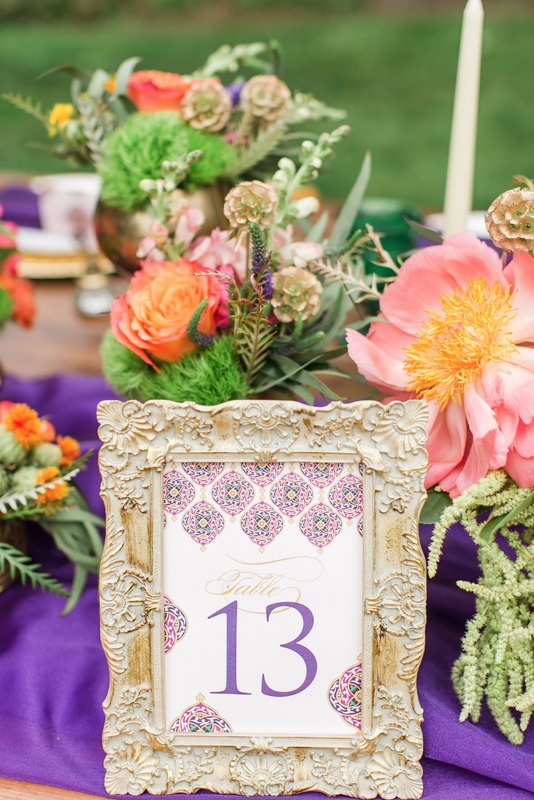 Jewel tones are trending right now and it's easy to see why in this jaw-dropping shoot! 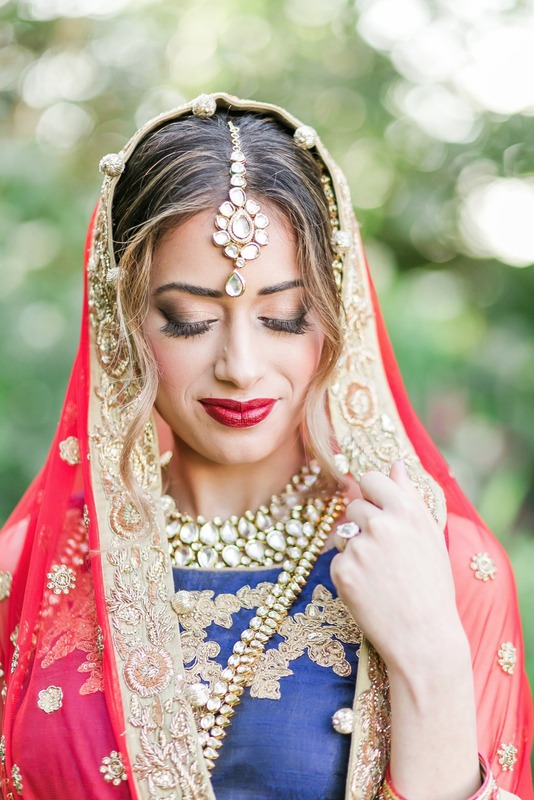 Little Wedding Blush and a talented team of vendors came together to bring the east meets west vision to life, and they pulled out all the stops to make it truly spectacular. 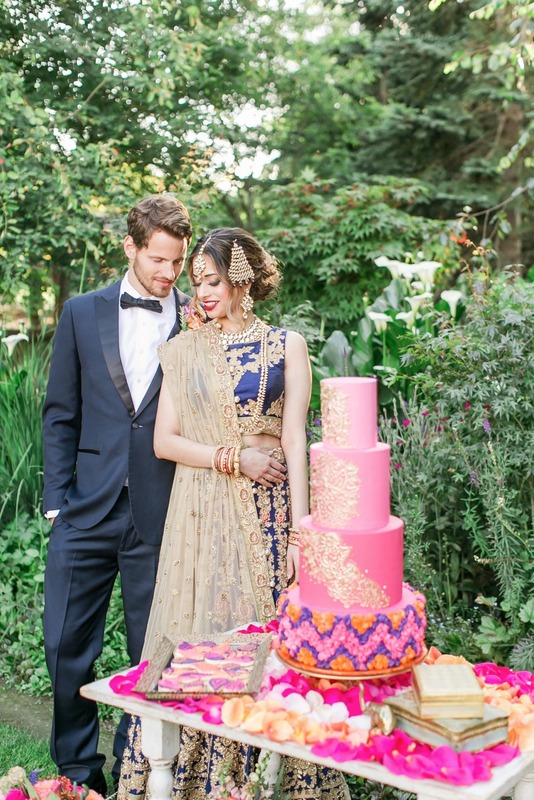 From the gorgeous bridal looks, to the unbelievable four-tier ombre fuchsia wedding cake with gold henna piping, Lloyd Photographers captured it all for you to enjoy! 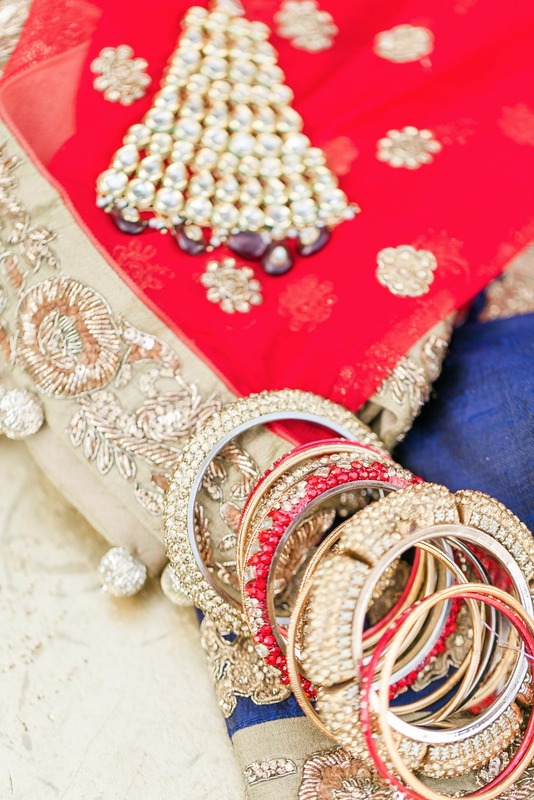 Be sure to check out the full gallery for even more pin-worthy images. 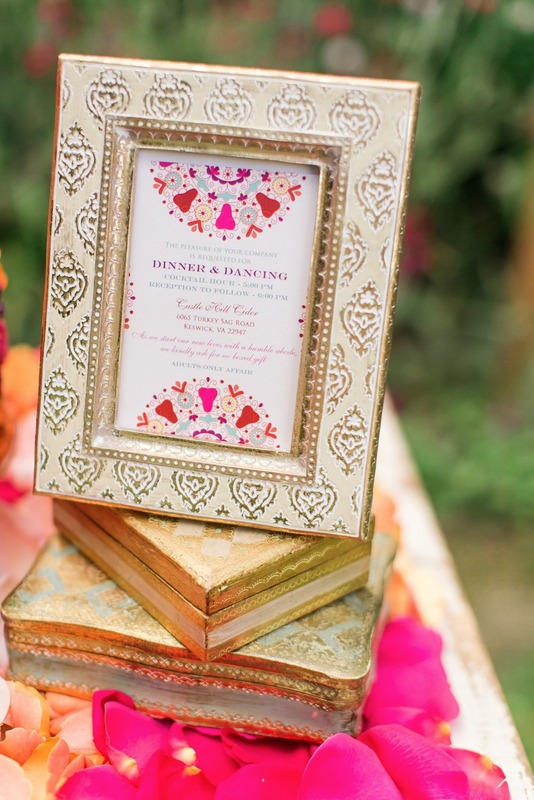 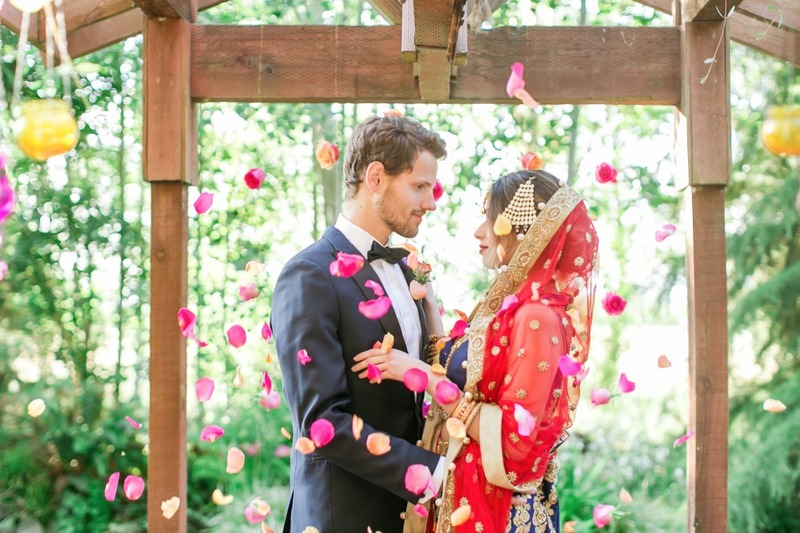 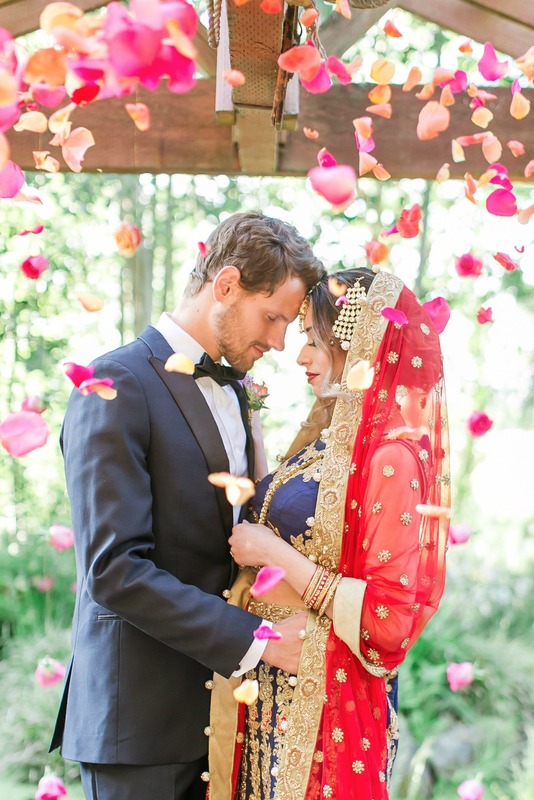 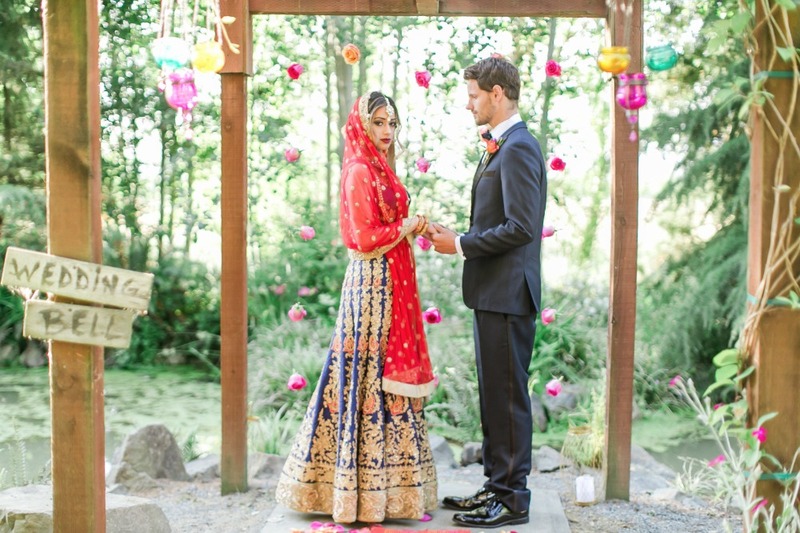 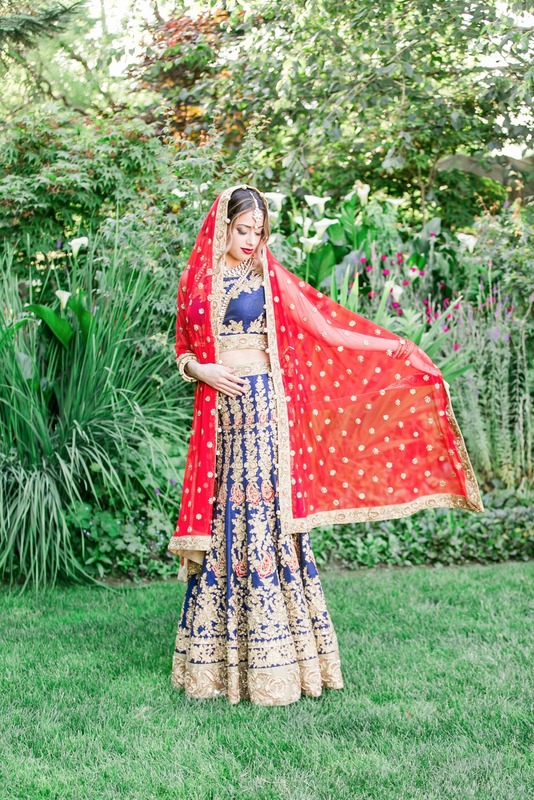 From Little Wedding Blush: The concept behind this shoot was defined by the title itself, East Meets West; a marriage of the bright palettes, luxurious prints and opulence of a traditional Indian wedding with the timeless elegance, beautiful details and etiquette of a North American celebration. 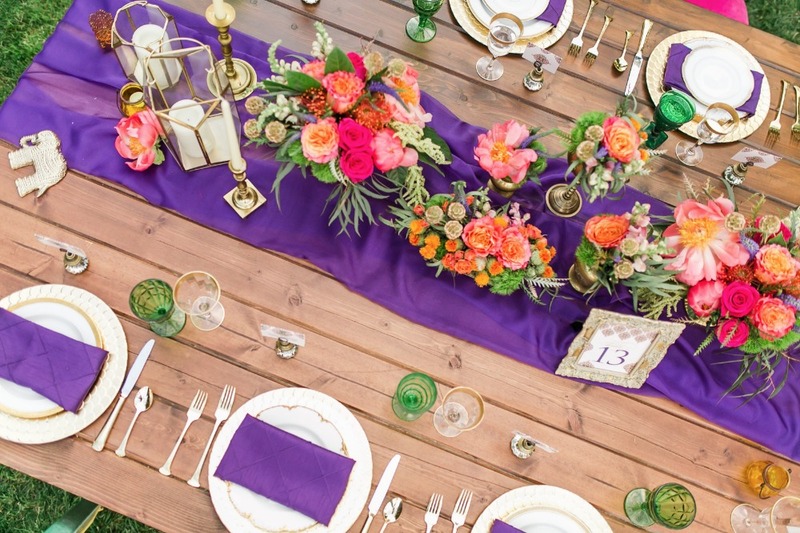 A palette of fuchsia, eggplant and marigold, splattered with hints of gold, created focal points against a lush green backdrop. 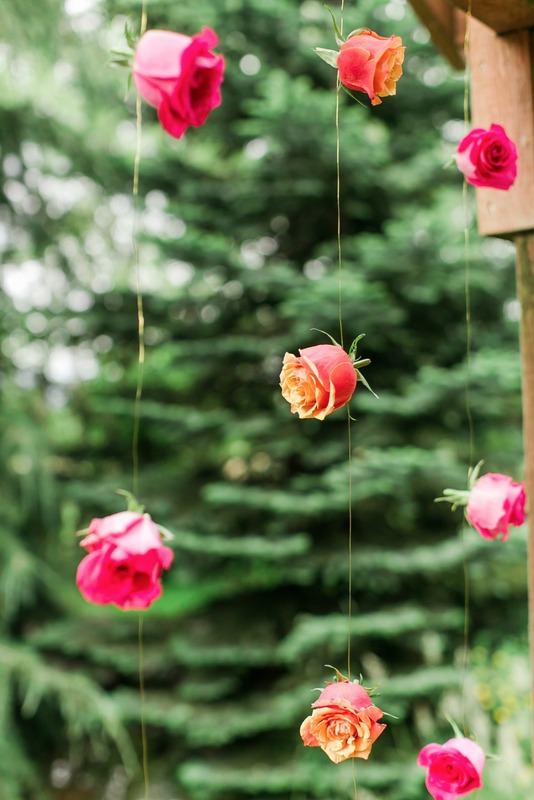 The wooden ceremony arbor stood in its natural beauty draped with a delicate curtain of roses and tealight lanterns to create the most intimate setting for the wedding vows. 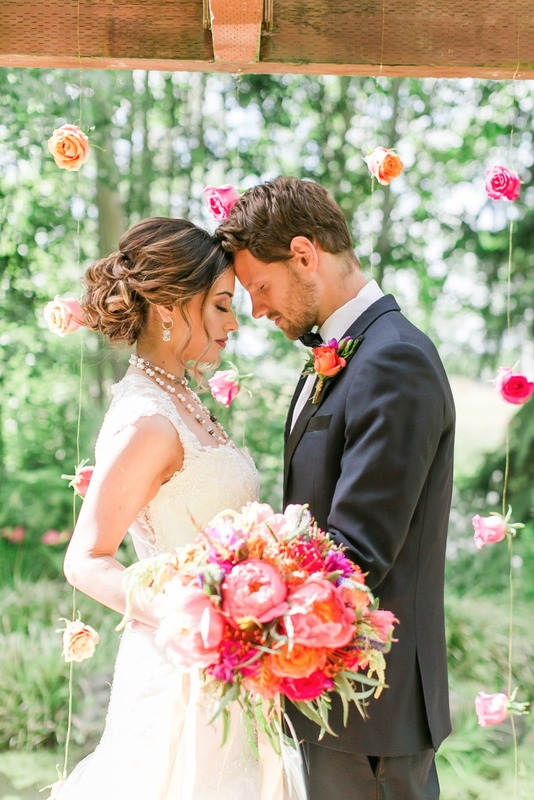 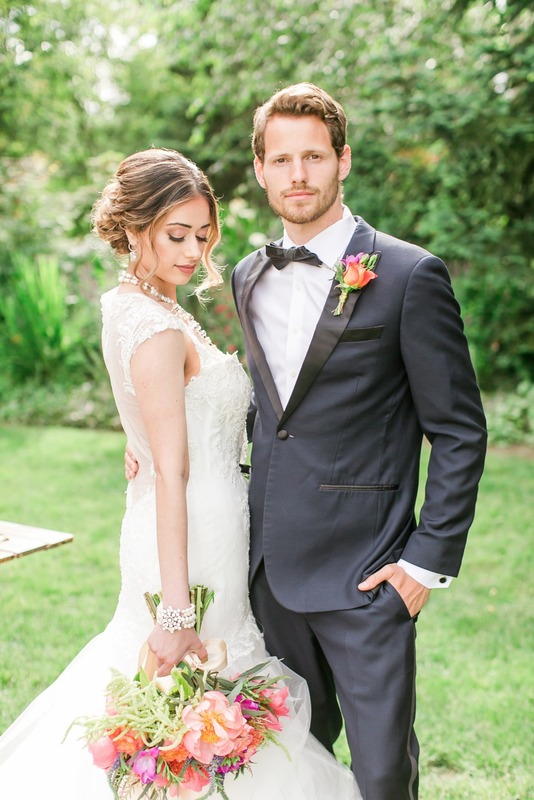 The bright bridal bouquet looked stunning in every angle and the bride and groom were depictions of class and style in their soft lace gown and navy tux. 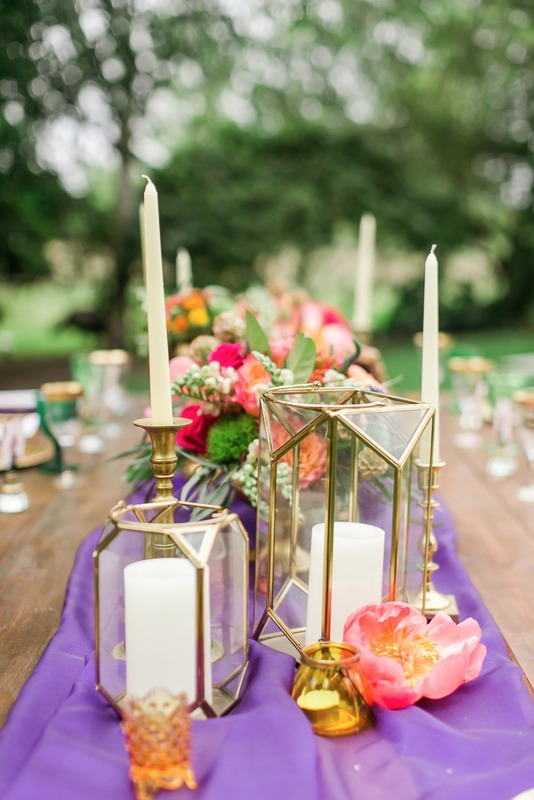 The wedding table was a sea of jewel toned beauty; emerald green glassware, bold and exotic floral arrangements set in vintage brass vases and linen in shades of eggplant. 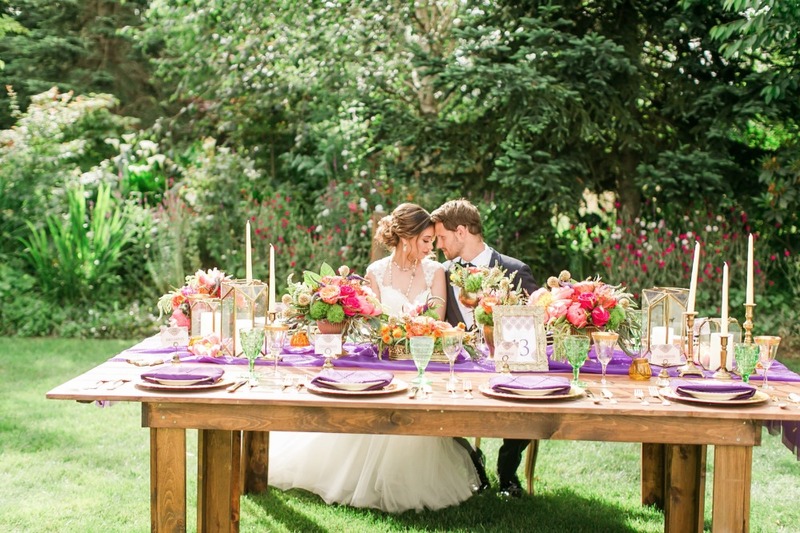 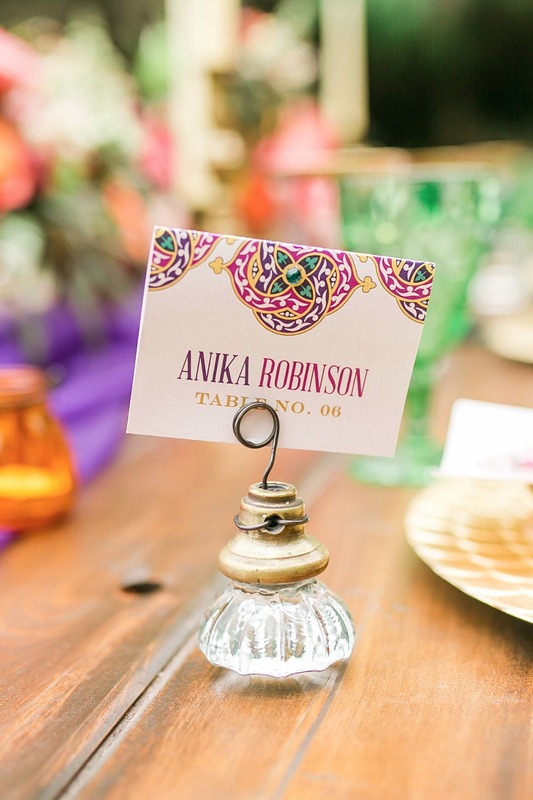 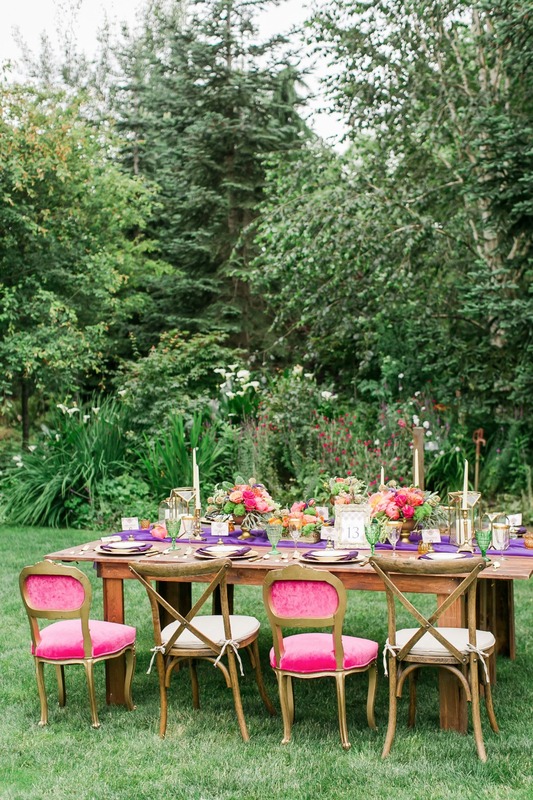 The gold-rimmed china, gold flatware and chargers complimented the rustic farm tables and mismatched chairs to complete the boho-chic setting. 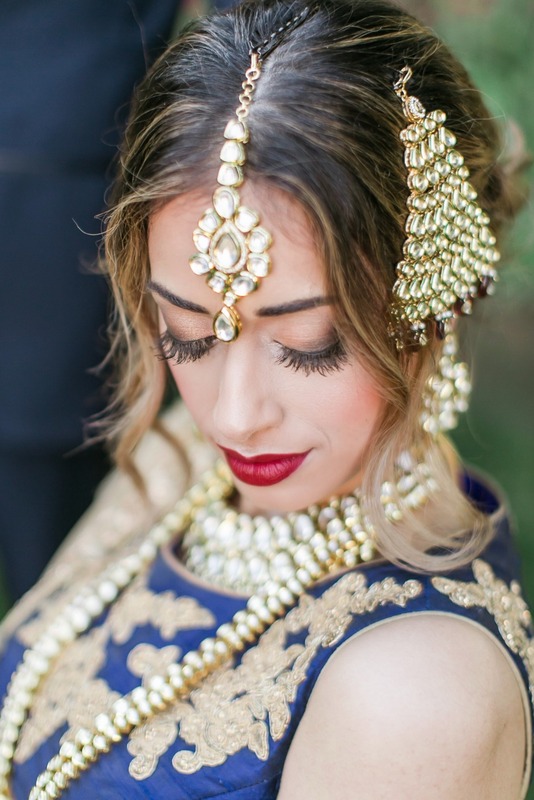 The bride's beautiful wedding lengha and accessories could only be defined as regal and ornate. 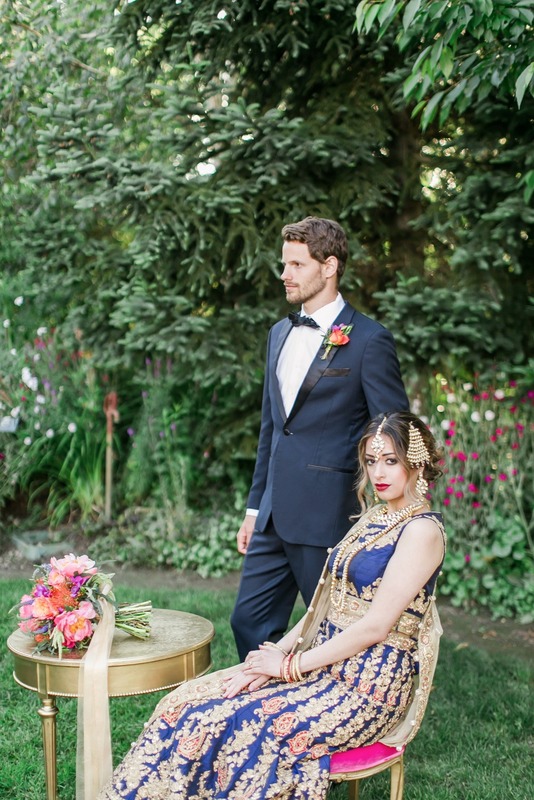 The rich shades of navy, red and accents of gold created the perfect look to dance the night away in! 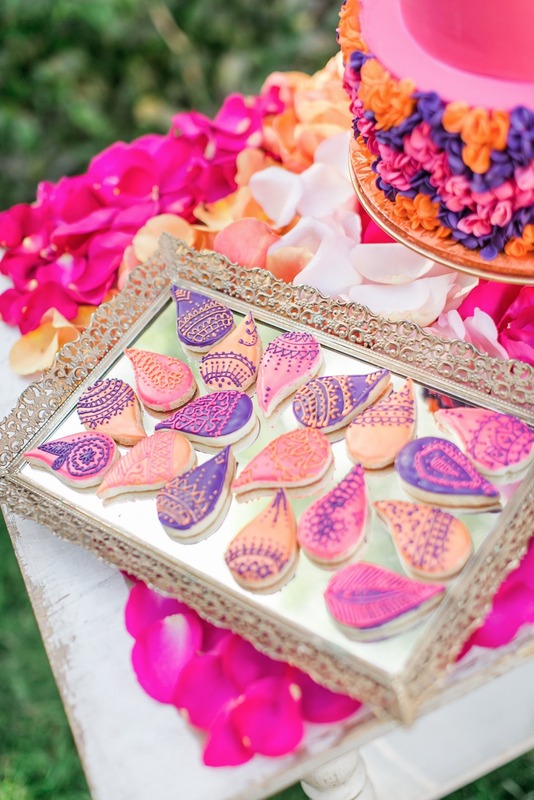 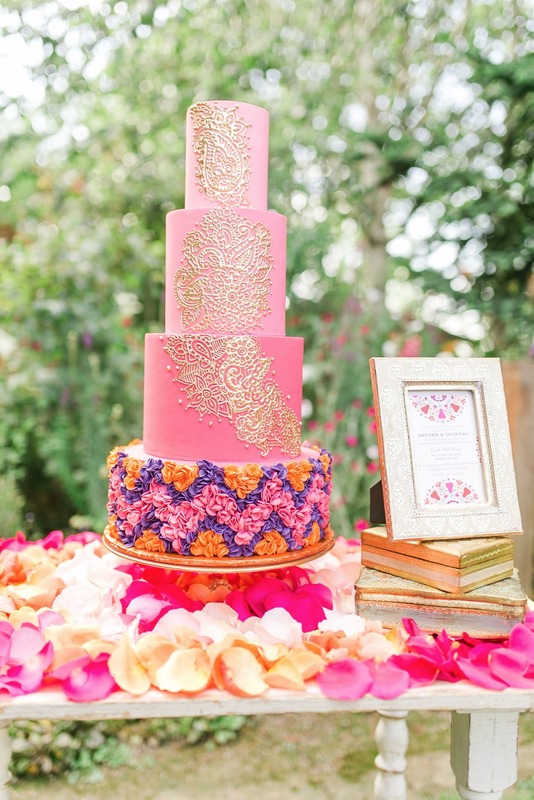 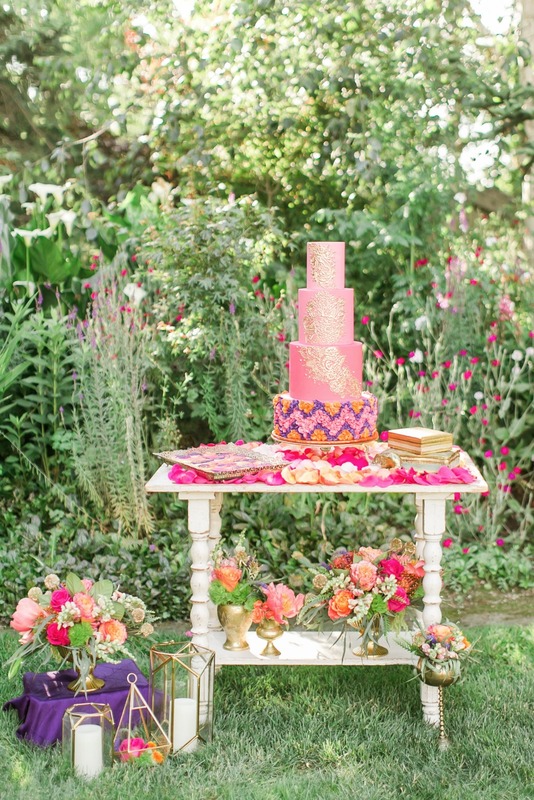 The focal point - a grand four-tiered ombre-fuchsia cake with a floral base inspired by Indian wedding 'mandaps' looked too good to eat and the intricate henna piping on both the cake and the paisley shaped sugar cookies tied in the theme immaculately.